Of all the possible ways of alleviating the opioid crisis, one has so far garnered far less attention than it deserves: prescription guidelines for surgeons. Surgeons are the third-biggest prescribers of opioids, often choosing them to help patients who have undergone hysterectomies, gall bladder removal, tendon repairs and other procedures where pain relief is a critical part of the recovery process. And research shows that patients who are given opioids to treat surgical pain are at significant risk of dependence on the painkillers. One study estimates that every year in the United States, more than two million patients become addicted to the opioids that their surgeons prescribed. According to a national report, prescription opioid deaths are climbing, and Canadians are the world’s second-highest users of prescription opioids per capita. Our use of opioids is rising faster than in the U.S. And over half of Ontario patients who suffered an opioid overdose were given an opioid prescription within four weeks of their death. And yet, while detailed guidelines are in place for dentists and for doctors who prescribe opioid-based painkillers for long-term pain, there are none for surgeons. As a plastic and reconstructive surgeon, I often treat and prevent surgery-related pain. I sometimes prescribe opioids for patients who have had surgery. But I try to take care to prescribe only enough to help with the most severe pain that cannot be relieved by ibuprofen (Advil) or acetaminophen (Tylenol). I also insist that these medications should only to be used if other pain-avoidance techniques – like resting and elevating the area – have failed. Or, I give it in the smallest possible doses to patients who can’t tolerate ibuprofen or acetaminophen. My prescriptions last for only a few days, and I caution patients to use the drug only if their pain is keeping them up at night. I came to this approach because I was trained to be conservative with opioids, and I have seen many patients whose pain was managed successfully without opioids. But not all surgeons are the same. For example, while I do not prescribe opioids after carpal tunnel surgery, some of my colleagues give Tylenol #3, which contains codeine, an opioid. A wrong move can have grave consequences. If pain is not treated, the patient may suffer unnecessarily, and end up in the doctor’s office or the emergency department. I’ve known desperate patients to use a relative’s leftover pain medication, or even buy drugs on the street. Dr. Norman Buckley, a pain specialist at McMaster University in Hamilton, acknowledges that we don’t always get pain management right. “We still see very large numbers of people reporting moderate to severe pain which is not effectively treated after surgery,” Dr. Buckley said. Yet if we over-prescribe an opioid, there’s a real risk of the drugs getting into the wrong hands. For example, if a patient has a prescription for 30 Percocet tablets, but ends up taking only five, there are 25 unswallowed tablets up for grabs. “They could be stolen. They could be diverted into a party by somebody’s kids, or the individual could sell them,” said Dr. Buckley. There’s also a real danger that patients can end up addicted to the drugs. 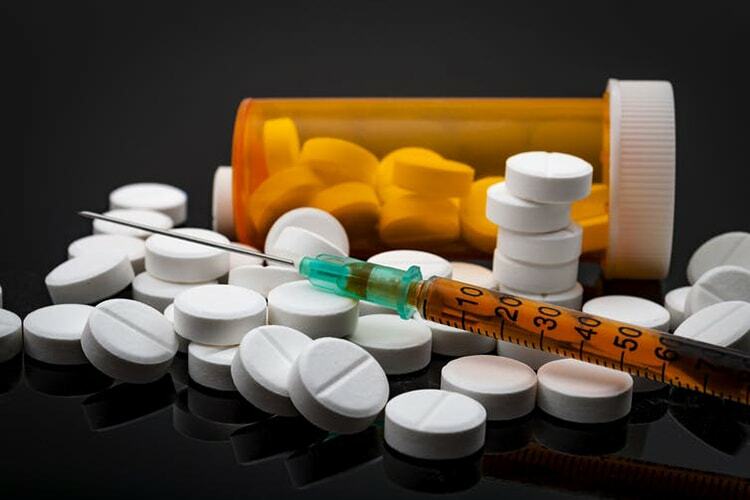 In Canada, many aspects of the opioid crisis have been closely analyzed by agencies such as HealthcareCAN and the Canadian Centre on Substance Use and Addiction. In May 2017, guidelines for long-term pain were released by the DeGroote Pain Research Group at McMaster. These were updated from 2010 guidelines following a scientifically rigorous process that involved the input of numerous clinicians, researchers and patients. We don’t yet have anything comparable for surgical pain. The Ontario Ministry of Health and Long-Term Care is developing quality standards for opioid prescribing for both acute and chronic care. These quality standards may not meet the rigour of an official guideline, however, notes Dr. Buckley, who is also DeGroote’s scientific director. Guidelines for surgeons are critical to addressing the opioid crisis. They would improve communication between physicians and nurses. The profession increasingly favours a multi-disciplinary approach to prescribing medications to ensure that the family doctor, emergency physician, nurse, surgeon and even patients are all on the same page. Sometimes the insights of non-surgical colleagues play a role in a surgeon’s decision to prescribe opioids. Guidelines would also help manage patients’ expectations. Some patients fear becoming addicted to opioids; others fear not having enough medication to relieve their pain.